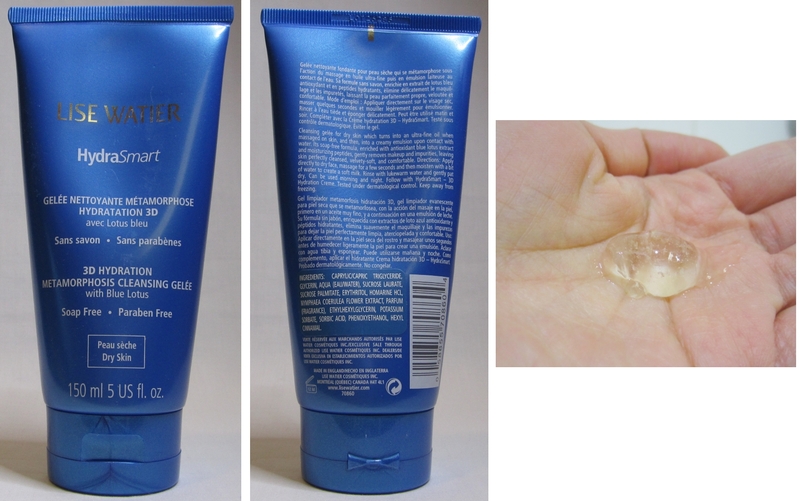 ♦ I’m not usually loyal to any particular facial cleanser but I’ve repurchased this one several times now, specifically for winter time usage. This works just like a cleansing oil except it starts out in a gel form – once I massage this onto my skin (no water), it melts into an thick oil. And with cleansing oils, this emulsifies into a milky liquid once water mixes with it during rinsing. This is my makeup removal step – normally I use liquid cleansing oils but sometimes they can be drying. In the winter time, I switch to this gelée or solid cleansing balms. This product does leave a bit of a film (hydration?) on my face even after thoroughly rinsing off but I don’t mind too much since I follow up with toner. A negative about this product is that it gets used up so quickly! A tube will only last me 1 month at most, and at $25 a pop, it’s an expensive habit. Another con about this cleanser is that it doesn’t remove my eye makeup as well as other oil cleansers. ♦ It may come as a surprise but using toner on a regular basis is a recent thing for me – I never understood the need for it, but I have since come to appreciate that it preps my skin to better absorb serums and moisturizers, as well as removing any makeup residue. Since starting to use toners, I have not been loyal to any particular kind, but this just might be one that I’ll return to again, especially for winter months. It has a thicker consistency than other toners I’ve tried, I think due to the high glycerin content. I like the hydration it provides, and the fact that it’s alcohol free. It has a soft powdery scent that doesn’t linger. Swatches: Revitalizing Cream at top, and Eye cream at bottom. 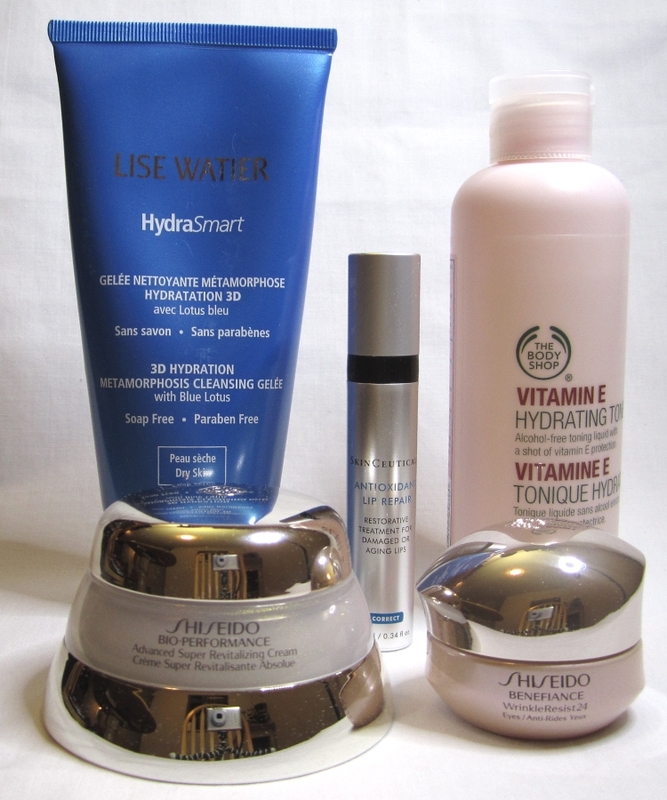 ♦ Both of the Shiseido creams are too emollient to use in the summer months but are my winter staples. They feel luxurious and provide hydration without feeling greasy or heavy. The creams absorb well into my skin and I wake up with a hydrated and glowing complexion. 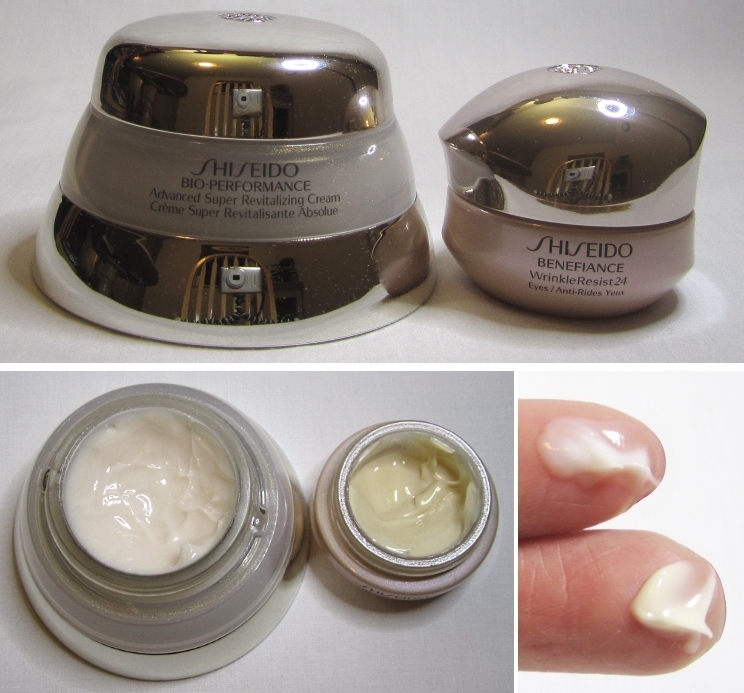 Yes, they are pricey but a jar of the face cream lasts me at least 4 months, and the eye cream has lasted me 2 winters. More detailed review of these 2 items to come, in a feature post. ♦ The exorbitant price on this item should make it the best thing since sliced bread, but I am still undecided about this (I should note here that I did not pay full retail price for this item). I’ve been using it for a month and while it has reduced the amount of lip peelies, I haven’t noticed too much of a hydrating / plumping effect. The pump style dispenser is quite annoying – it’s difficult to control how much product comes out, and often it dispenses too much. 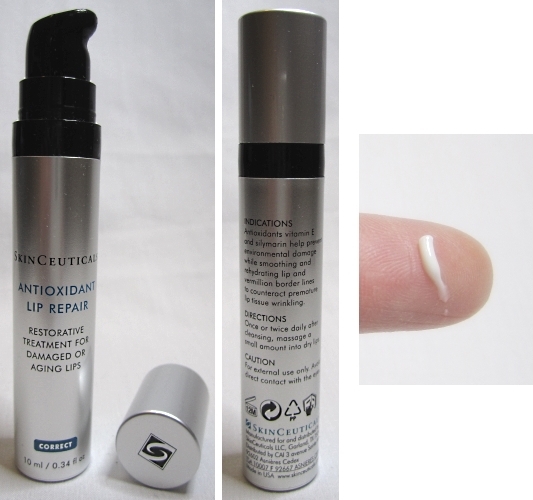 The consistency is a silicone-y feeling lightweight lotion, and upon initial application, it looks white on the lips but after rubbing it in, the white cast disappears. I’ll continue using it longer to give it a fair judgement. Out of this list, only the Shiseido items are considered my HG winter skincare items that I always return to and have no interest in trying other items (unless my skin changes!) The others I like and will continue to use until they’re finished – only time will tell if I will repurchase. What are your winter skincare items? 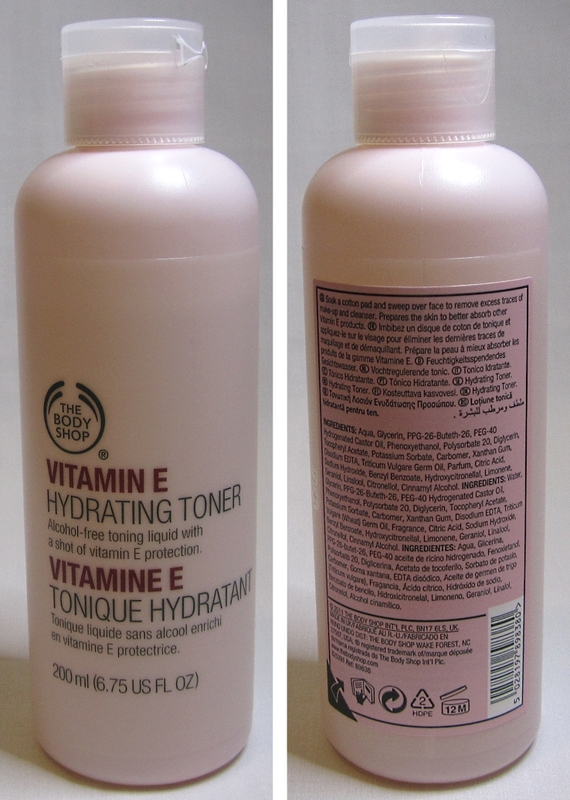 I used to use toner a lot when younger, only cos I saw my mum using it lol. I then stopped it for many yrs and only just started using it again recently as I’ve been reading a lot about them here on WordPress. I’m really liking them and love that fresh and clean feeling it gives my skin!